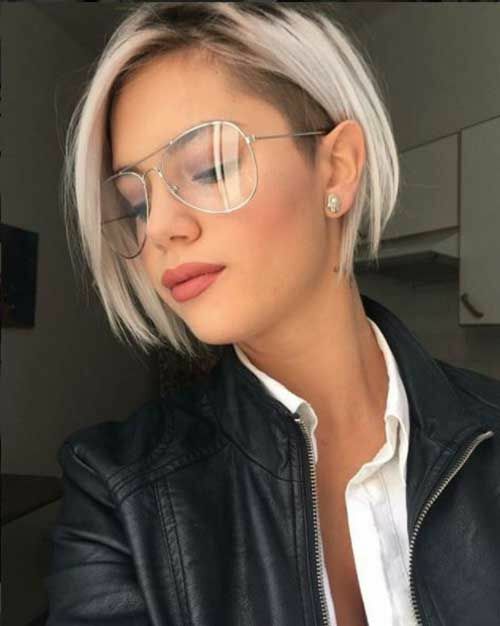 Having thick hair is both a blessing and a curse- fortunately there are a good few gorgeous short hairstyles for thick hair. 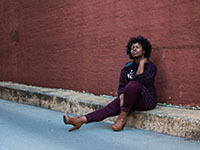 Although many view thick hair as one of the ultimate physical features, there are a lot of struggles that come with it. This includes having extra knotty hair and then there’s the whole dilemma of getting your hair to actually sit in place. Not forgetting the time and effort it actually takes to maintain thick hair. A great solution for this issue would obviously be to cut the hair so that it’s a lot easier to handle. 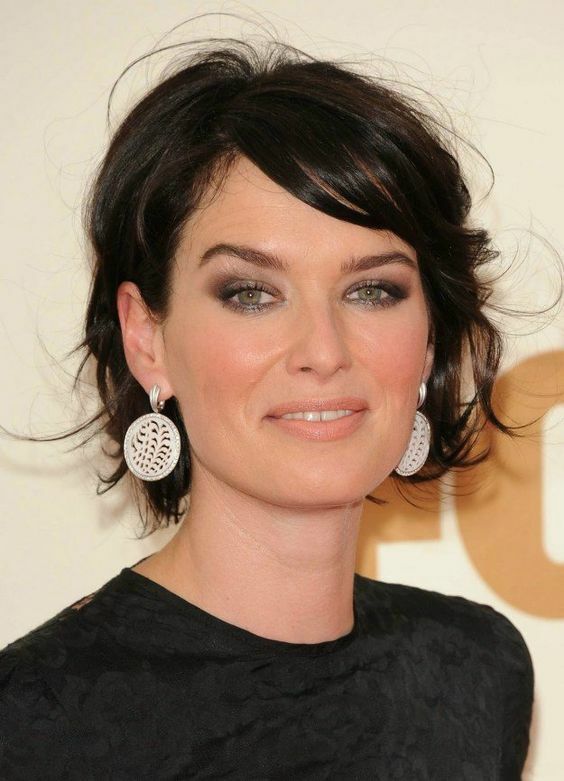 We’ve compiled some beautiful and trendy short hairstyles for thick hair. How to pick out a short hairstyle for thick hair? When picking out a hairstyle it’s vital to look for a cut that suits your personality and your face shape. Each face shape looks good with certain hairstyles and this is basically because of the bone structure. In this post we will take a look at what the best options are for everyone; based on their facial structure. Oblong- An oblong face is characterized by a very narrow bone structure and is quite long. To compliment this face shape it’s a good idea to opt short hair. Oval- Oval shaped faces are long with cheekbones that are slightly wider than the jawline. This face shape looks good with just about every hairstyle. Triangle/ Pear- The pair shaped face normally has a narrower chin and wider forehead. A great option for those who have a triangle shaped face is to add volume at the top to help create fullness to the face. Heart- This face shape has a wider forehead and narrower chin. Side bangs look great on a heart shaped face in order to cover the wider forehead. Diamond- A diamond face is characterized by a narrow chin and a wider forehead and cheekbones. Round- A round face is characterized by the forehead and jawline being the same width. You will also notice that the hairline is rounded. 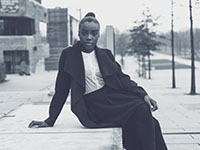 Square- Square faces are determined by the strong and angular jawlines, along with wider hairlines. In order to determine your face shape stand in front of a mirror with your hair out of your face. Next, draw an outline around your face in the mirror using a lipstick and step back to view the outline. This is one of the best and easiest ways to check your face shape. 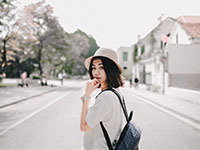 Once you’ve figured out what your face shape is you can now choose a great heart cut that will compliment your physical features and soften your face. Oblong facial features can often be confused with an oval face shape. Both these shapes look similar and work well with similar haircut choices. This is ideal for oblong faces because it creates the illusion of width. It’s a great look to have and compliments women of all ages. For a playful look try adding on some bangs- or opt to leave it out entirely. Another great option for thick hair is this rounded fridge bob. It’s super versatile and has the feel of a bob because of the different layered lengths. The layers lighten the weight of the hair, without completely weighing it down. 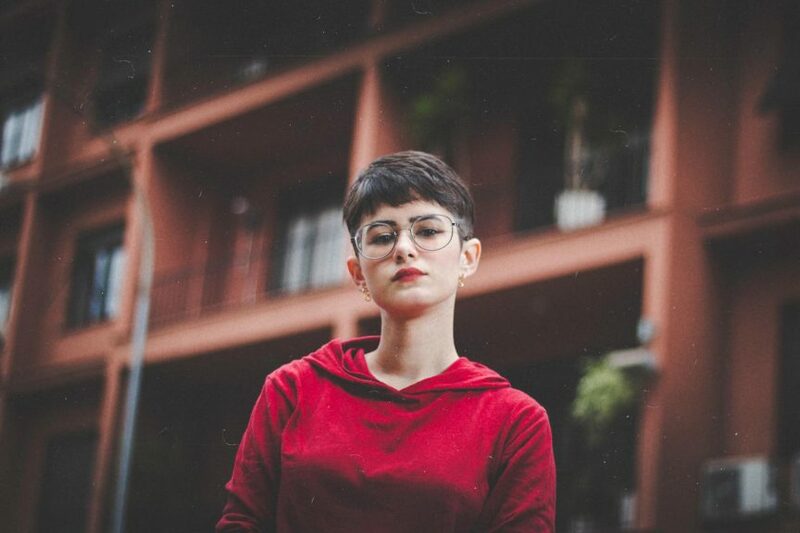 A pixie cut looks great if it’s cut properly to suit your face shape. This pixie cut is ideal for thick hair because it is sharply cut. Maintenance on this cut is ideal for those with thick hair because it really doesn’t take much time or effort. As we’ve previously mentioned- oval shaped faces work with just about any hairstyle. You can choose any short hairstyle that you like and it’s guaranteed to look good. This hairstyle is perfect for those who have extra thick hair and want to get rid of some. 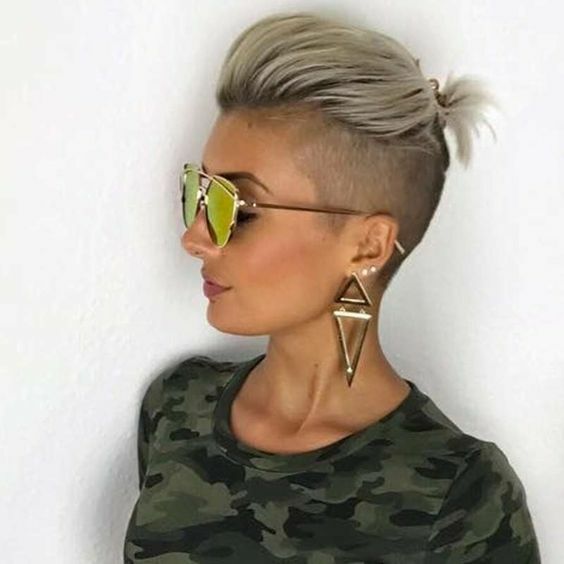 The undercut is a great way to remove hair while keeping it trendy. For this hairstyle ask your stylist to undercut the sides and leave some pieces of hair longer. These longer pieces will then be cut into a bob. 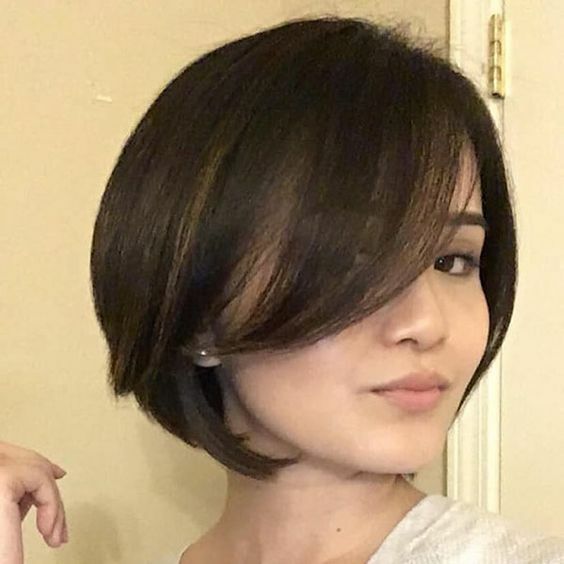 This stunning one length bob looks extremely posh and we’re obsessed with it. It’s an easy look to pull off and is great when trying to work with thick hair. Who says that you can’t use your thick hair to your advantage! 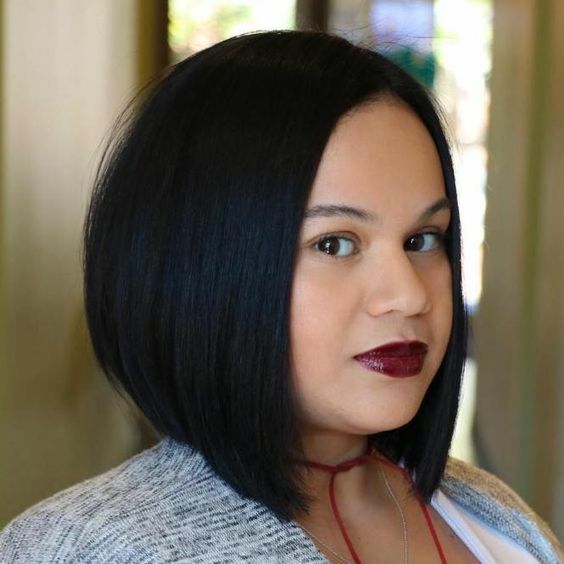 This bob haircut looks superb because of the volume that comes with thick hair. The top of the hair is thicker and the bottoms are slightly textured. 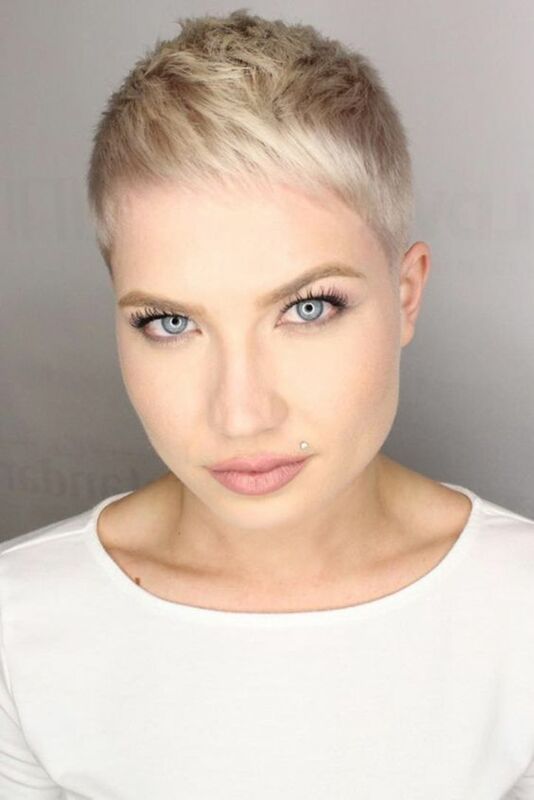 A lot of celebs actually have this face shape and it works beautifully with short hair. Scarlett Johansson is one of those celebs that everyone loves; and she has a pear shaped face. Her boyish haircuts have become a trend all over the world and let’s just say that it looks stunning! This hairstyle creates balance to the face and also is easy to work with, especially if you have thick hair. On the contrary to the boyish haircut, this classy pixie cut is fuller and extremely flattering. The hair still looks healthy and not super fine. It’s also a great option to grow out from the boyish haircut above. Whether you have straight hair, curly hair or wavy hair- this bob is a great hairstyle for thick hair. This style works especially well with a triangle shaped face because the bangs cover the forehead. Ultimately, this gives some nice symmetry and balance. Textured haircuts are always the way to go when you’re trying to deal with thick hair. They help give the hair texture while allowing it to look healthy simultaneously. 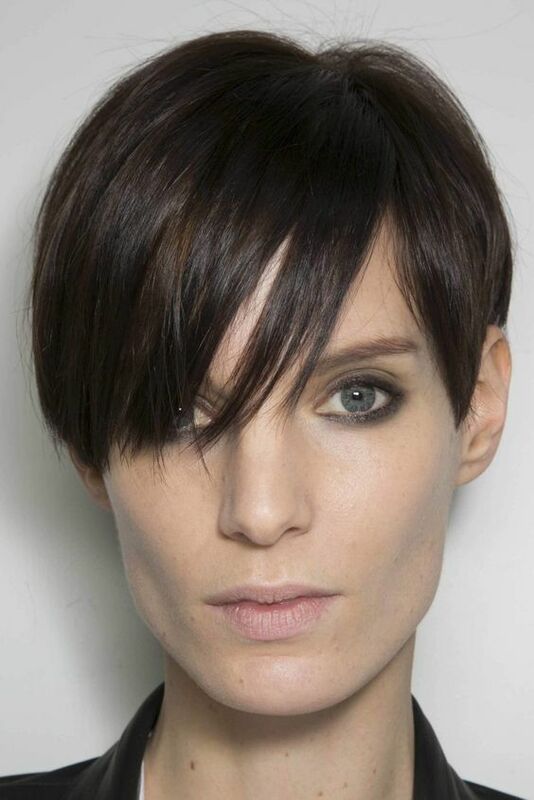 If you’re looking for a cut to complement the heart shaped face, a long pixie cut looks beautiful. This cut leaves the hair looking full and voluminous. Cutting your hair above the shoulders is a good idea if you have thick hair. The length keeps everything from spiraling out of control- which is exactly what you need. This style looks best when it’s wavy and works well with a heart shaped face. This look is probably the easiest of them all- but let’s just says that you have to be extremely daring for this one. 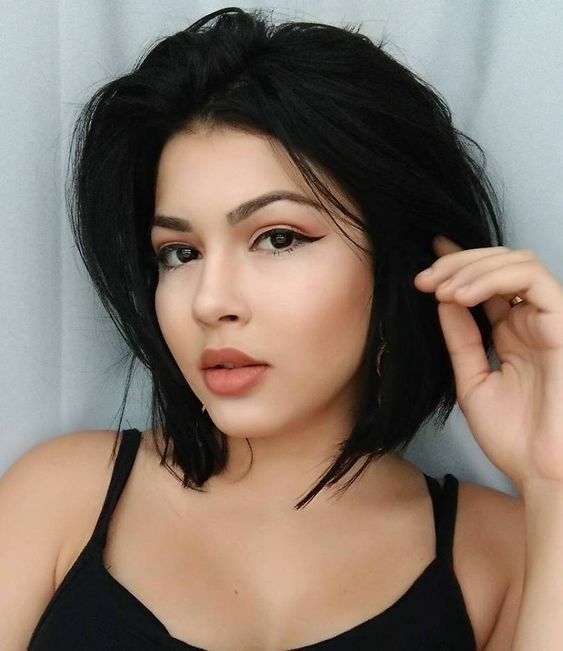 This super short look will instantly make life easier especially if you have super thick hair. Styling and maintenance don’t take any effort. You can literally roll out of bed and get your day started! If you’re looking for something unique and trendy for your thick hair, here’s what you’ve been looking for. An undercut just makes life way easier and the longer top still allows you to be stylish. This hairstyle is great for trendsetters. For this look you’re going to want to ask your hairstylist to give you a skin fade and cut the top so that it can go into a pony. Try leaving the top part of the hair an even length so that it’s easier to work with. Having thick hair and a round face can easily make the face look fuller. A good way to balance the features out is by trying one of these short haircuts for thick hair. 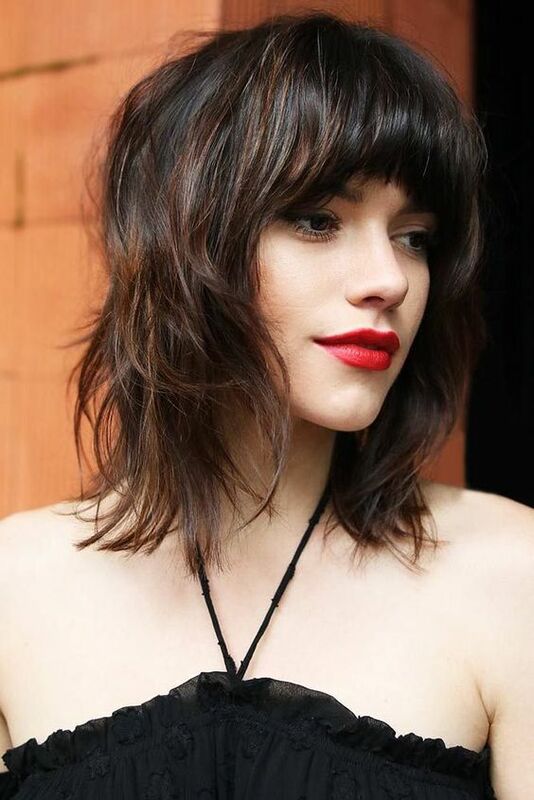 Longer length side bangs and a bob is a classic combination and it’s a great haircut for those with thick hair. It gives a good shape to the face and hair without making it look flat. The two length bob is another great style for thicker hair. The hair in the front is longer and the back is shorter, which creates a lot less heaviness on the hair. A pixie bob is another winner if you have a round face with thick hair. Ask your hairstylist to sharpen the edges of the hair to give a more defined look. Feathering the hair instantly thins it out and is a great technique used for those who have an abundance of hair. This short feathered haircut looks great on mature women as it easily compliments the facial structure. This look is inspired by Halle Berry because it’s her signature look. It works wonderfully for those with thicker hair and look beautiful on both older and younger women. Ask your hairstylist to add on a lot of texture so that you can master this polished look. Finding a hairstyle that suits your face and your hair type can be tricky. It’s a great idea to go in and speak to your hairstylist so that you can get some professional advice.